Looks like actor Surya is very much satisfied with the results of 7am Arivu, no matter what his critics say! At a recent meet, Surya just couldn't stop raving about the film and its director, AR Murgadoss. "So far, Singam was at the top with the highest collection in my career. However, I'm really happy to say that 7am Arivu has beaten Singam in just one week. The distributors are happy and so are the producers," said the actor. Recalling his initial days, Surya said he hadn't expected to reach this level. "This film has not only helped me grow as an actor, but also as a Tamilian, as I was unaware of so many facts about Tamil and its scholars before." Surya also brushed aside the criticism surrounding the film. "7am Arivu was not made overnight. Research was carried out for nearly one and a half years to give a good film to audiences and many scholars were involved in it. All the information that was shown were facts given by research scholars," he said. Explaining that 7am Arivu fell under the same category as that of movies like 16 Vayidhiniley and Chandramukhi, Surya said, "It has always been difficult for audiences to accept their heroes in a different avatars. But we are here to give different kinds of films that will create an impact." Another reason why Surya is proud of having done 7am Arivu is because of the manner in which his father Sivakumar appreciated him for it. "Appa usually doesn't comment on our films. But after watching 7am Arivu, he came home and hugged me. 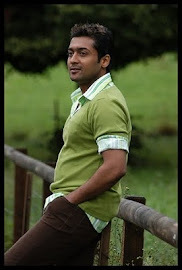 It was an emotional moment for both of us," said Surya. 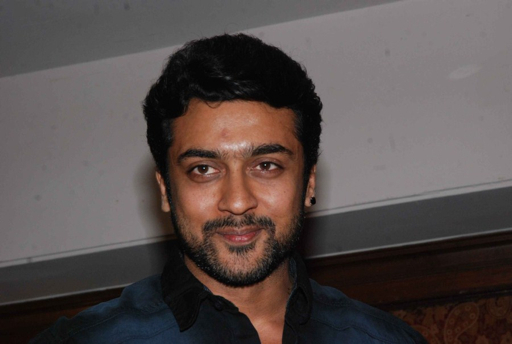 Surya also spilled the beans on his next movie, Maatraan. "It's too early to talk about the movie. But Maatraan will be another life-changing film in my career. It's completely a new genre with big starcast and KV Anand sir has shot most of the movie in different locations." So did the actor get to watch Velayudham? "Well, I still haven't watched my film properly. But I'm sure both the films are doing equally well," he said.